A gas pipeline in Ilara near Ogijo area of Ogun State has exploded. Eyewitnesses say the explosion occurred at about 10:00 pm on Sunday and rescue officials are still battling to put out the fire. Channels Television gathered that the pipeline had been attacked by suspected vandals who left the valve open after stealing petroleum products from it last week. The area has, however, been cordoned off by the police to avoid loss of lives. 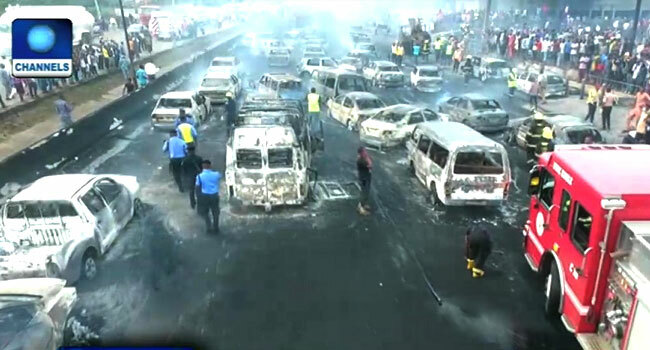 The incident comes just days after a fuel-laden tanker exploded on Otedola Bridge along the Berger axis of Lagos. 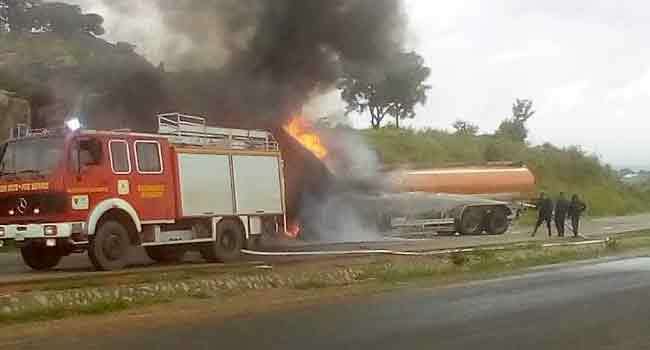 Also, a tanker carrying kerosene product exploded along the Minna-Suleja road after engaging in a head-on collision with a trailer on Friday. The accident occurred at Mallam Karo, a village located about two kilometres away from Suleja area of the state. Five persons were said to be in the two vehicles when the accident occurred, however, there was no casualty.